Starting a new small business takes a lot of work, time and commitment. In fact, just to get to the point of being able to open your doors, you have to write a business plan, choose a location, decide on the legal structure of your business, register your business with the state, obtain a tax identification number, register for all applicable state and local taxes, and get any necessary permits and licenses. Beyond these necessary logistics, you can fast track the success of your small business by ensuring that you prioritize certain things. It should never be a challenge for customers to reach your business. Both local and long distance numbers should be available for customers to use, and there should always be someone available to answer the phone, even if you have to outsource this task. The telephone is still the most important tool for most businesses when it comes to connecting with customers. Your telephone system should be one that is professional, dependable, and helps to ensure that you never miss a call. A virtual phone system like Halloo is one that does exactly that. Plans give you a free phone number, an auto attendant, on hold music, easy call transfer and more. It also lets you forward your calls so you can take them with you. No matter where you go, your small business is always open and someone can be reached. Affordable Halloo plans also give you the option of adding 800 service, as well as local phone numbers, to make your business even more accessible. Invest in creating the very best website possible for your new business. It is the face of your business that many customers will see first and making a good impression is critical. Create thorough, original content that provides useful information for your clients. Hire an SEO specialist to ensure it ranks well, and is easily found, and have a graphic designer make it look good. Ensure that it is easy for potential customers to reach you or make a purchase by including a call me button, your physical address, and a link to online shopping options on every single page of your website. 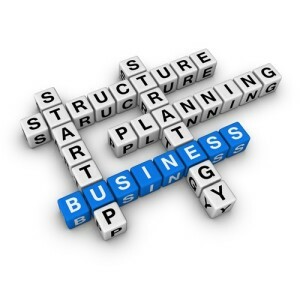 Many businesses invest too much money when they are in the start up phase. Keep costs low by opting for subcontractors and part-time employees, instead of full-time employees at the beginning. Operate from home or a co-work location if possible to minimize the cost of a locale. Choose cloud based systems that can provide the same service as costly office equipment for a fraction of the price. Virtual phone systems easily take the place of costly physical phone systems, and can be used from anywhere. Lower expenditures in these and other areas will mean profitability sooner for your new venture. Amazing possibilities await you as you start your new business. By putting extra work into following our guidelines for these aspects of your startup, your chances for success are much higher. This entry was posted in Marketing, Small Business by Heather. Bookmark the permalink.